I’m coming at you with another Jior Couture swatcher collaboration today. This time, Sacha teamed up with my dearest friend, Xenia to celebrate the 90’s show, Living Single! 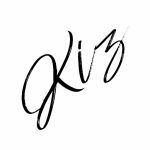 My post is kind of a catchup as this collection has already been released, but it is still available for purchase. 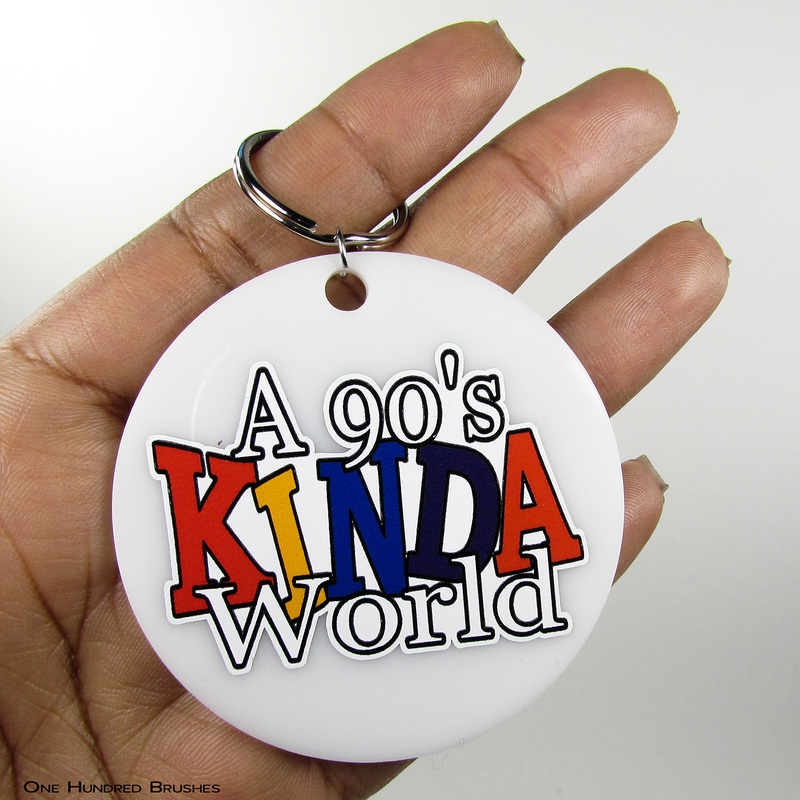 Let’s take a look at 90’s Kinda World! It’s been forever since I’ve watched Living Single! I just remember Queen Latifah and those fabulous 90’s fashion and hair! Khadijah, played by Queen Latifah, worked as an editor and publisher at the urban magazine, Flavor. It feels rather fitting to open things up with the one dedicated to her. 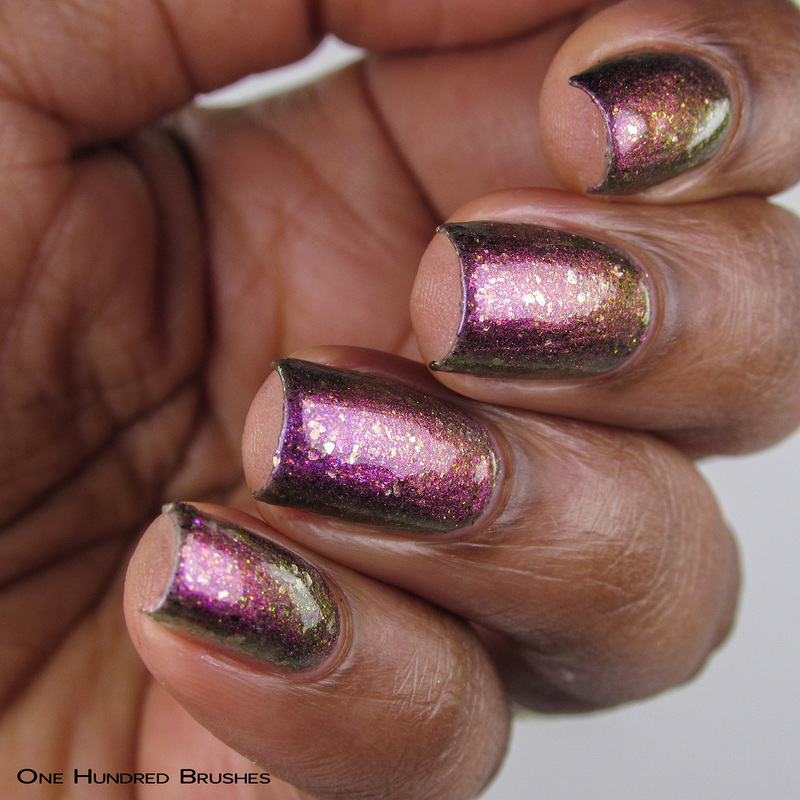 Flavor is an incredible multichrome shifting from purple to pink to green to gold and is blended in with a mix of gold and multichrome flakes. The formula is the pleasant medium we’ve come to expect from Jior Couture. I’m wearing two coats with a glossy topcoat. Ah, this color! Ride The Maverick is named after Maxine, Khadijah’s best friend who loved instigating rows with Kyle. 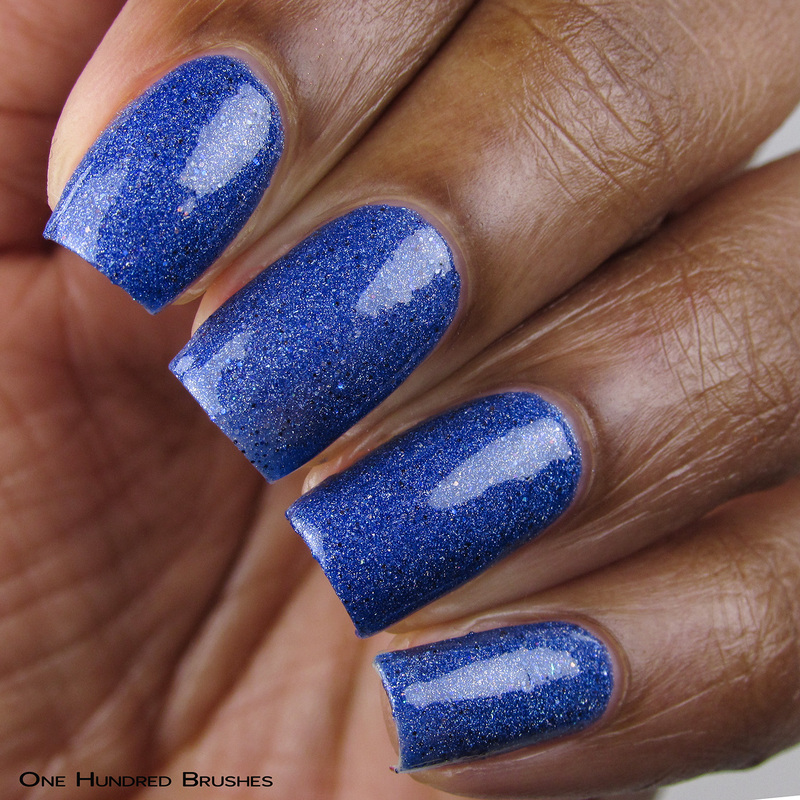 The polish is a vibrant blue holographic with multichrome and holographic micro glitter. This is nearly one coat and can be worn that way for daily wear. Here, I’m wearing two coats with a glossy topcoat. Sinclair plays Khadijah’s cousin and the receptionist on the show! I always found her hilarious! Of course, if you know anything about Sinclair, it’s her Woo Woo Woo! Named for her, Woo Woo Woo is a fun thermal which when cool is magenta pink and warms to a clear tinted lavender. 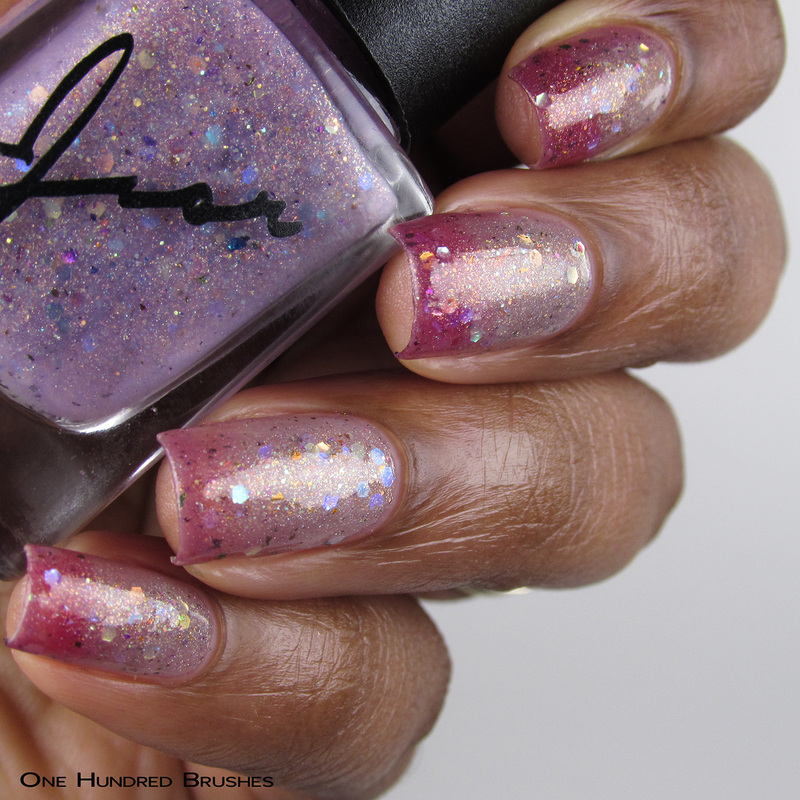 In both states, a beautiful mix of multichrome flakes and iridescent glitters rest in a scattered holographic base. 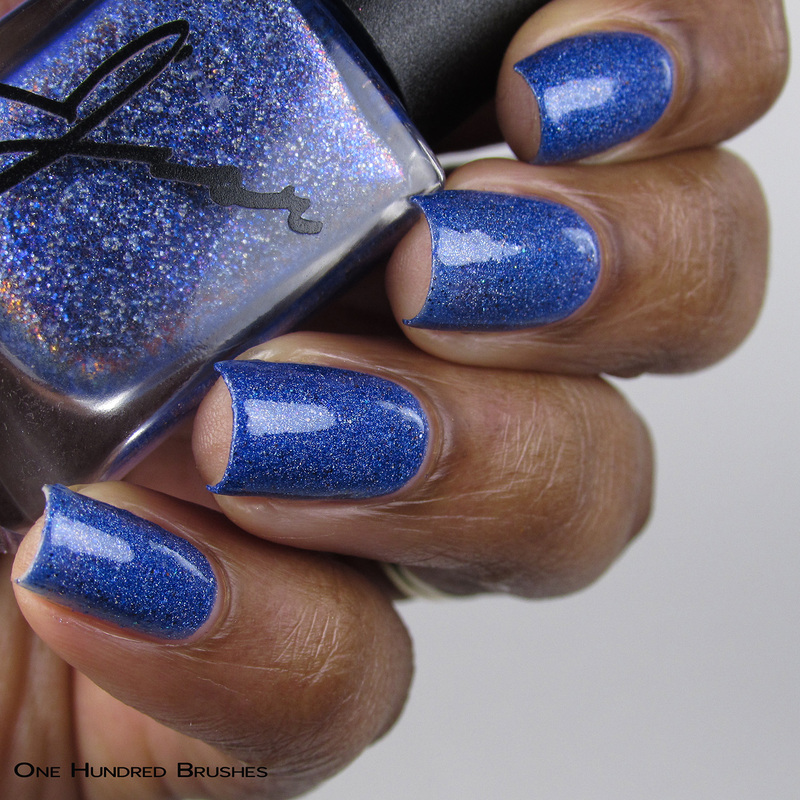 The larger glitters in here really adds to the intrigue of this shade for me! I’m wearing three coats with a glossy topcoat. 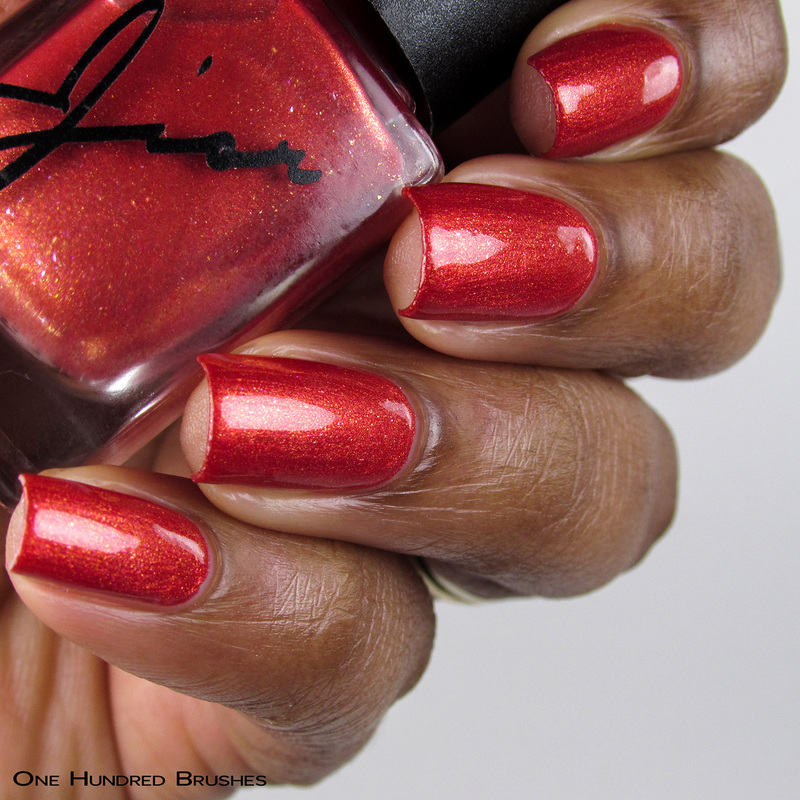 Smooches is inspired by Regine; the super stylish one always dripping with sass! The polish here is quite fitting! 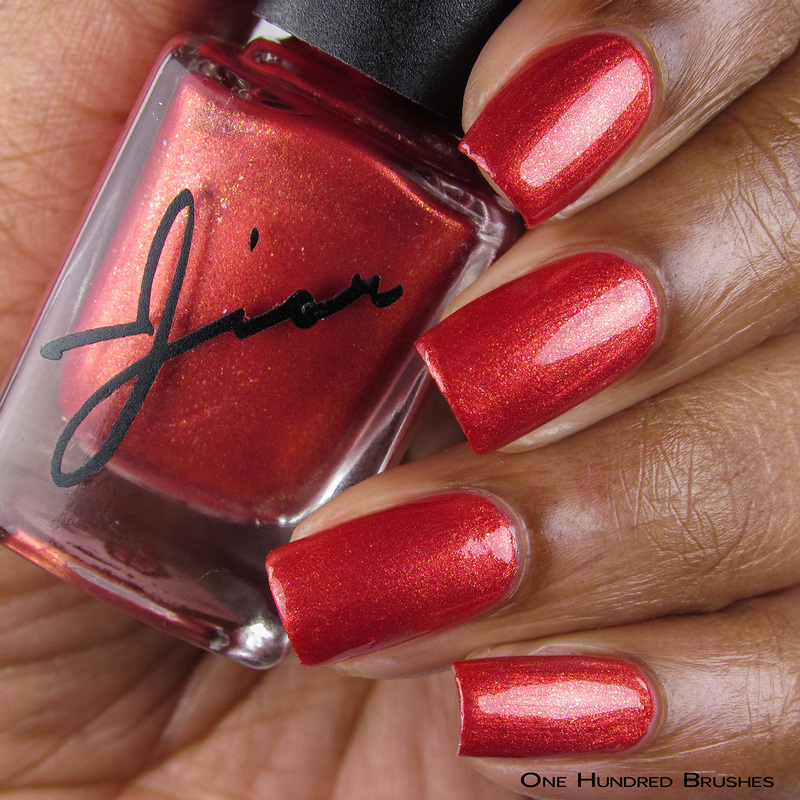 It’s a striking red creme with gold and aurora shimmer. 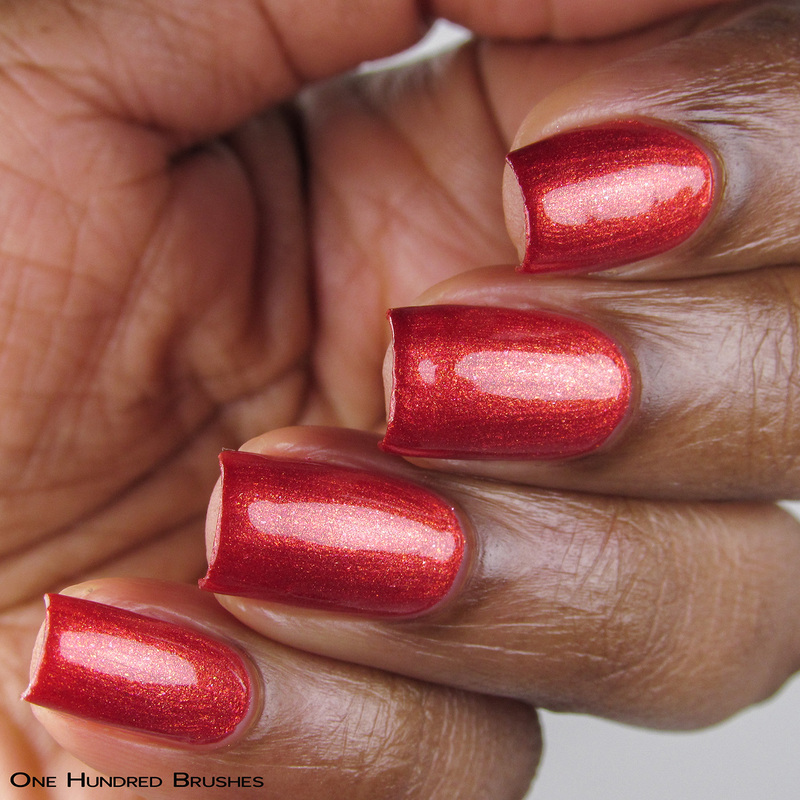 Smooches is highly pigmented and could easily be worn in one coat. Here, I’m wearing two coats with a glossy topcoat. In my head, I somehow mixed up Kyle and Overton and made one person! It’s been a long time!! One Floor Up is a tribute to the upstairs neighbors and it’s a very pleasant mix. 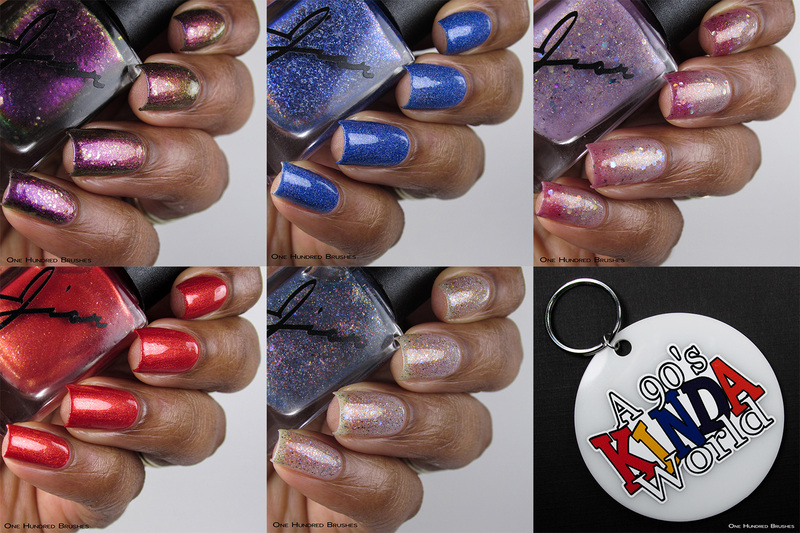 This is a clear holographic base with micro glitter and fine multichrome flakes. While this polish would most likely be used as a topper, I decided to show it off on its own simply because I love how it looks. I really enjoy how the colors pop gently in the clear base. In the first photos, I’m wearing two coats and in the final ones, one single coat. 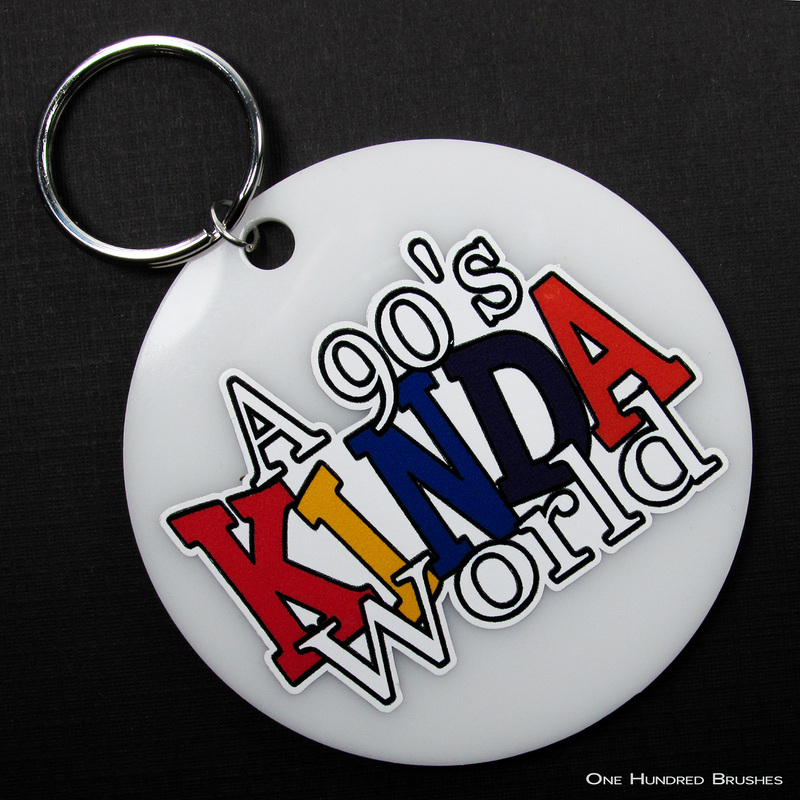 In addition to the nail polish, those who purchase a full set will receive this awesome 90’s themed keyring. It reminds me of the keyrings I would attach to my backpacks way back when. I thought I was so cool! 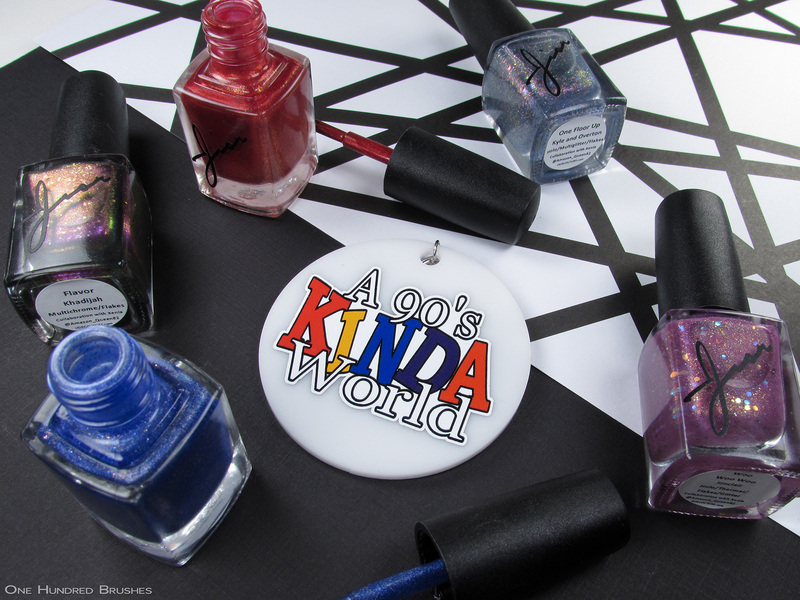 I couldn’t help but do some 90’s style stamping to go with this collection! I think it looks a bit more modern with the black and white, but I quite like it! Sacha and Xenia put together a collection full of fun and color here! I always welcome a good ode to the ’90s! The 90’s Kinda World collaborative collection is now available for purchase from Jior Couture! Did you watch Living Single? Which one is your favorite?